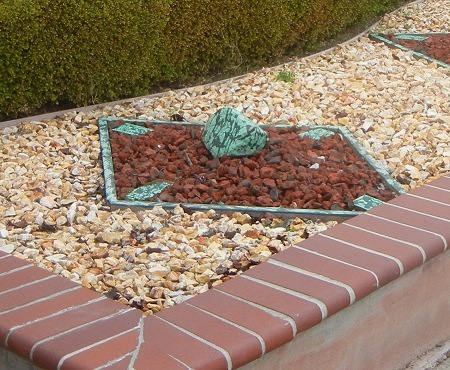 Oakland’s rocks aren’t all in the ground. They’re in our yards and homes, too. Here are a few presented in the order I found them lately. 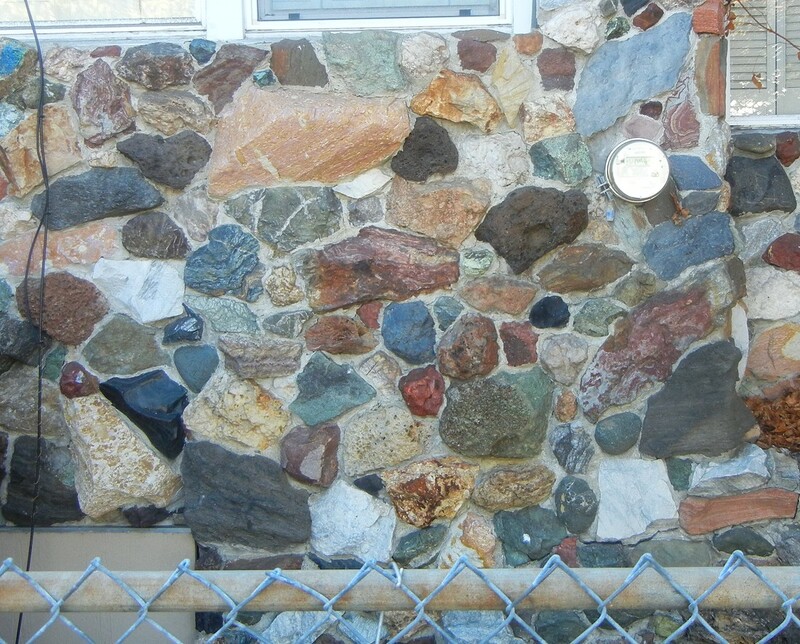 There’s a house on 60th Avenue that stopped me in my tracks, its walls studded with stones. A neighbor down the block told me “Oh yes, those are wonderful! We looked at that house when we were buying in this neighborhood. The owner’s daughter runs a preschool across the way.” Click that one for an 1100-pixel version. A few weeks later I visited Best Avenue, high in Maxwell Park, and was arrested by the front yard here. Sometimes rocks, like people, look best with painted faces. 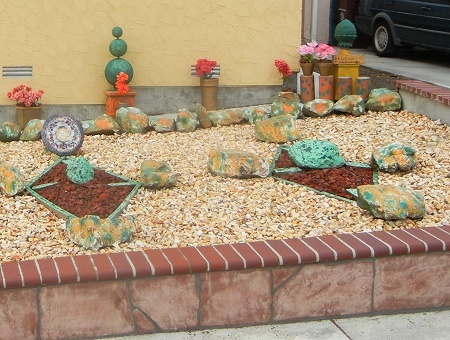 A block away is another property treated by the same decorator. 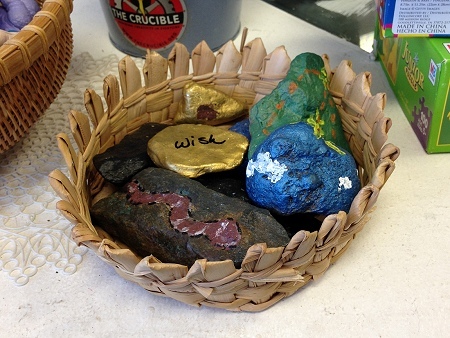 And just yesterday this basket of painted stones seized me by the eyes. It’s at the Free Oakland UP gallery and workshop, in the Loard’s plaza at Coolidge and MacArthur. This entry was posted on 31 January 2015 at 2:40 pm and is filed under Oakland stone. You can follow any responses to this entry through the RSS 2.0 feed. You can skip to the end and leave a response. Pinging is currently not allowed.